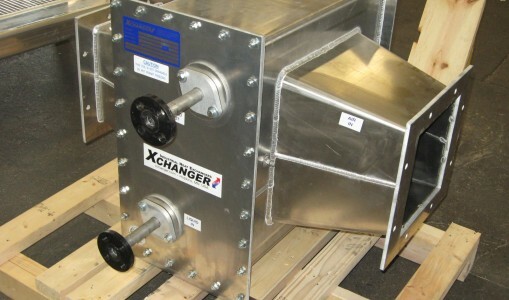 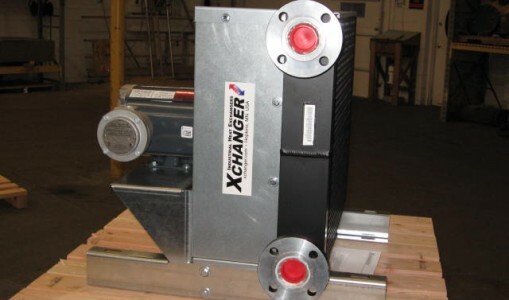 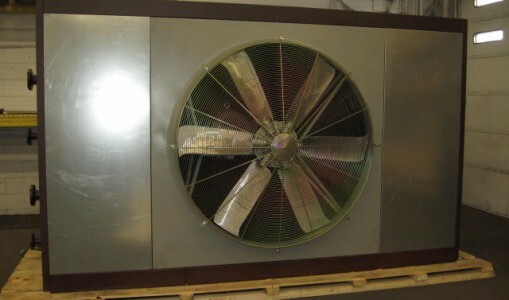 Using plate-fin and tube construction, Xchanger’s TV Series tank vent condensers have tremendous cost and performance advantages over primary surface condensers, such as shell & tube, plate & frame and spiral type heat exchangers. 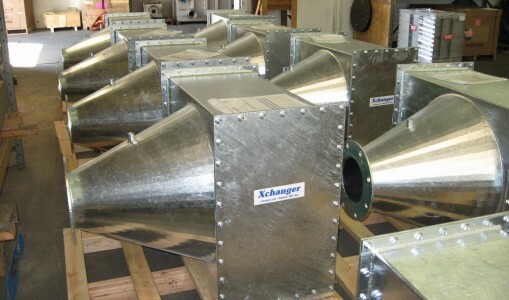 TV Series heat exchangers are used to condense vapors in a low pressure gas stream, typically from storage tanks or reactor vents. 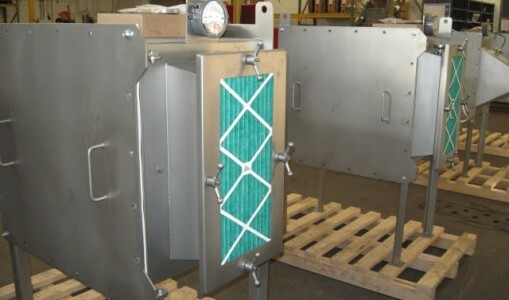 Their innovative design minimizes pressure loss and allows compact units to perform substantial condensing duties, despite the low heat transfer rate of gas/vapor solutions. 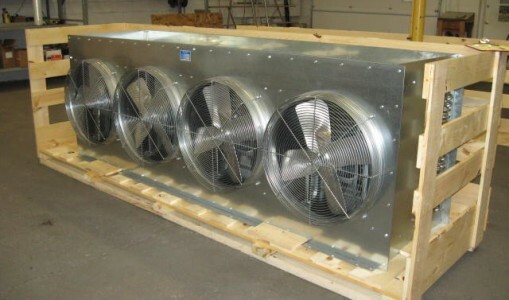 Pressure loss in a typical installation is less than 0.05 PSI. 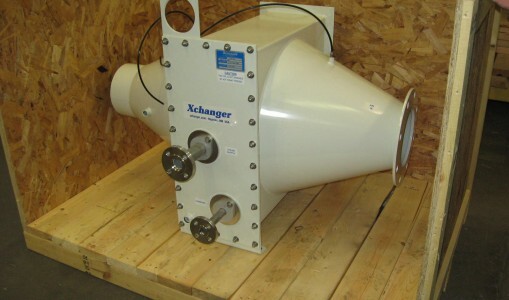 Common applications include chemical process systems, product recovery, and pollution control. 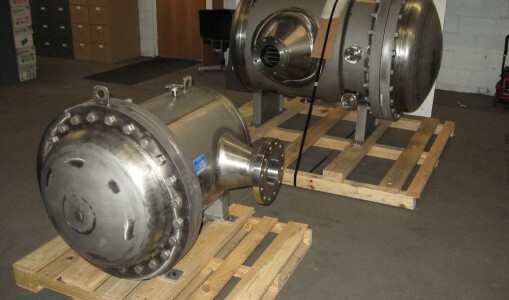 Industries served include: chemical, hydrocarbon processing, plastics, and pharmaceutical. 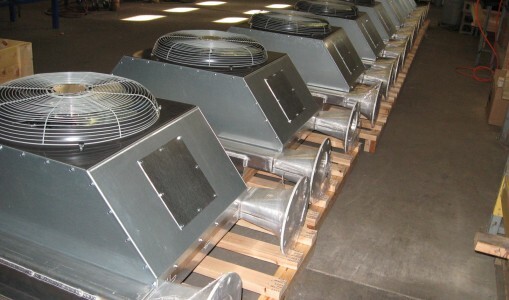 Process gas flows from 50 to 5,000 SCFM are common. 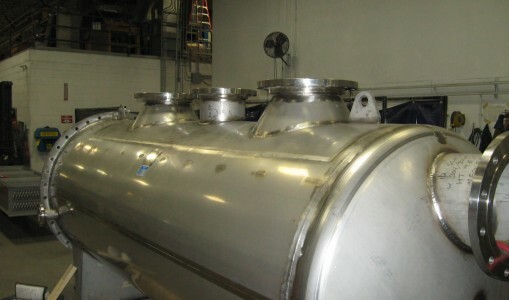 Coolant can be water, glycol, brine, refrigerant, or liquid nitrogen.